I should have cut out coffee a long time ago. I first started drinking it in college and enjoyed the rush of energy it gave me. Especially after a late night out. At first, it was one of those "where has this been all my life!?" experiences… but it didn't take me long to notice that I always felt more anxious, irritable, scattered, and eventually tired whenever I drank it. After the initial surge of energy from coffee wears off, I always experience a big dip. I love Matcha because it provides a more sustained energy without the fatigue later. I've enjoyed Matcha at coffee shops here and there over the years but often find it to be too sweet or too bitter. It wasn't until I started making it at home 6 months ago that I really fell in love. Coffee, especially if you're drinking huge and multiple cups a day, has a lot of caffeine. It's important to understand that all caffeine is "Borrowed Energy". When you use stimulants for energy, it always comes at a price. Whether it's in the form of physical or mental burnout, elevated stress hormones, or a suppressed immune system, you will end up paying that debt back in the long run. Personally, I noticed coffee had a huge and almost instant effect on my immune system. If I ever felt I was maybe coming down with a cold and I drank a cup of coffee, I was guaranteed to get sick. Since cutting it out I believe my immune system is much stronger. While Matcha does have some caffeine, it is far less than coffee. Coffee has an average 95- 200 mg/ serving- and that's just in an 8oz cup of coffee. Who only drinks 8oz of coffee? If you're like me and was completely oblivious before, I'm here to tell you; "Venti" stands for 20. As in 20 ounces. That's more than double an "average" cup of coffee. Matcha green tea, however, only has approximately 25-35mg of caffeine/ serving- A much more reasonable "energy debt" to have to pay off later. Despite the widespread myth that pregnant women have to completely eliminate caffeine from their diets, the recommended daily allowance for caffeine when pregnant is actually 200mg. Again, that "average sized" single cup of coffee. So, if your morning coffee routine is going to keep you sane and happy during your pregnancy- I say go for it! No judgment here. (Just try to keep it below a Venti.) But if you suffer from acid reflux, heartburn or any other gastrointestinal issues during your pregnancy, you may want to consider forgoing the coffee altogether. And if you're a particularly stressed out mamma, it might not be a bad idea to give your adrenals a break from the stress hormone-producing jitter juice, either. So, if you're looking to ditch the coffee during your pregnancy, Matcha is, of course, a great option. It still provides that morning (or midday) ritual, without the gastrointestinal side effects, or increased stress hormones, plus the added benefits of antioxidants. If using my recipe below (1 tsp of matcha) do not have more than 3 cups to exceed the recommended 200mg/ day. Coffee is very acidic and stimulates the hypersecretion of gastric acids. This increase in acidity can lead to or aggravate acid reflux, heartburn, stomach irritation, and ulcers. For anyone who suffers from any of the above, it is advisable to eliminate all coffee consumption and limit caffeine in general. Decaf too! Decaffeinated coffee has been shown to increase gastric acids even more than regular coffee. In addition to its lower levels of caffeine, Matcha also comes with a number of health benefits like B vitamins, Folate, Manganese, Potassium, Magnesium, high levels of amino acids and most notably, antioxidants. Increasing your antioxidant intake helps prevent cell damage caused by free radicals, lowering your risk of disease. Because of its antioxidants, Green tea consumption has been shown to help prevent skin, lung and liver cancer, reduce cholesterol and risk of heart disease and stroke. Can't I just get all that from regular green tea? Sorry, no. Matcha green tea has been shown to have up to 137 times more Catechins (the unique and potent antioxidant that makes Matcha so very powerful) than regular green tea! It's so much more concentrated because you're consuming the whole tea leaf ground into a fine powder. With regular green tea, you're just drinking the water that green tea leaves were steeped in. Don't get me wrong, green tea is always a healthy choice, but if you want the concentrated antioxidants- make it Matcha. Be wary of the Matcha at your local coffee shop. Matcha is super trendy and popping up in cafes everywhere. I appreciate that there's an option for me now that I don't drink coffee, so I still order it on coffee dates with friends. But it often tastes bitter because they use boiling water (more on that below) and burn the Matcha. OR they add way too much sugar. For example, Starbuck's Matcha has as much sugar as a can of soda (40 grams). Also, if you order it with cow's milk, you absorb less of the antioxidants. So at the very least, ask for it to be made sugar-free and with almond milk, coconut milk or water if you can. 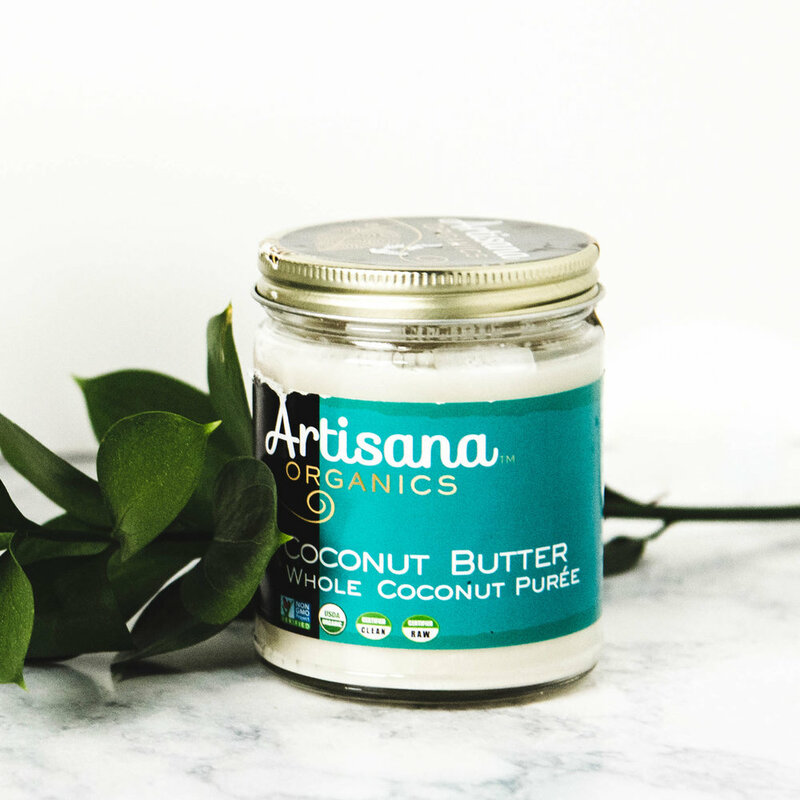 · Coconut butter (different from coconut oil) - to make it frothier, more filling and provide the added benefits of Lauric Acid, which is bacteria, virus and fungus fighting. · Maple syrup - for the sweetness while still being able to control the sugar content. · Adaptogens and Herbal Tonics - to give it an extra immune boosting, energizing and hormone balancing kick. If you have a high-speed blender that can handle hot liquids like a Ninja or a Vitamix, use that to mix. (Magic Bullets and other similar blenders have been known to explode with hot liquid). Otherwise, mix with a regular whisk or a traditional matcha tea bamboo whisk. · Various Adaptogens like Ashwagandha, cordyceps to improve stress response. · Healing mushrooms like reishi and Chaga. · Rhodiola for creativity, inflammation, immunity, and focus. I highly recommend Sun Potion products for all of the above. ...Wholefoods and most health food stores carry various high quality matcha brands too. Always try to buy organic, when possible.